We can’t wait for summer and we plan to take advantage of the weather every chance we get. 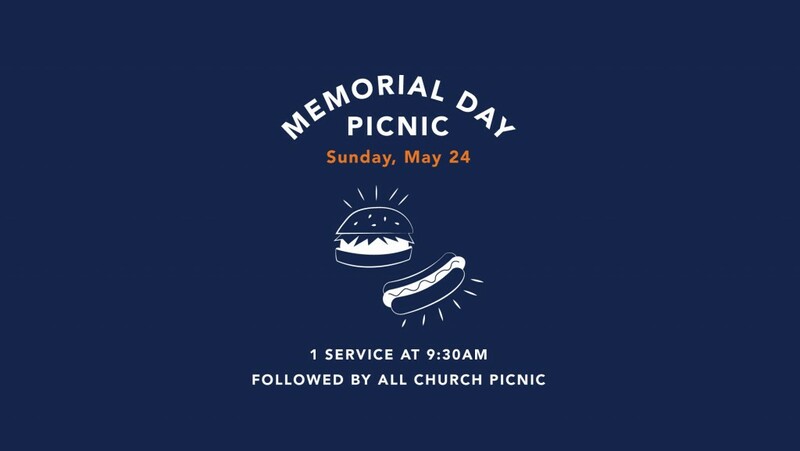 So, you’re invited to bring family and friends to join us on Sunday May 24 for an old-fashioned all church picnic! On Memorial Day weekend, we’ll have only one service all together outside at 9:30 am. Afterward, we’ll grill burgers and hot dogs for lunch. Bring your favorite side dish or dessert to share and a lawn chair or a blanket to sit on. Can’t wait to see you there!